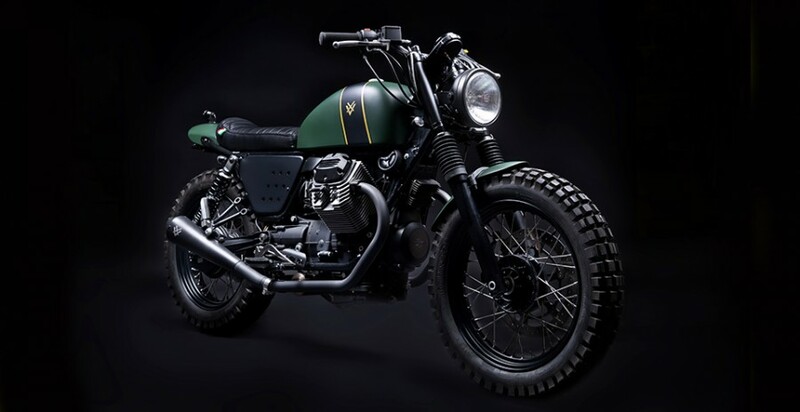 The ‘Tractor 03’ has been built using the Moto Guzzi V7 scrambler, a more recent bike to work with. 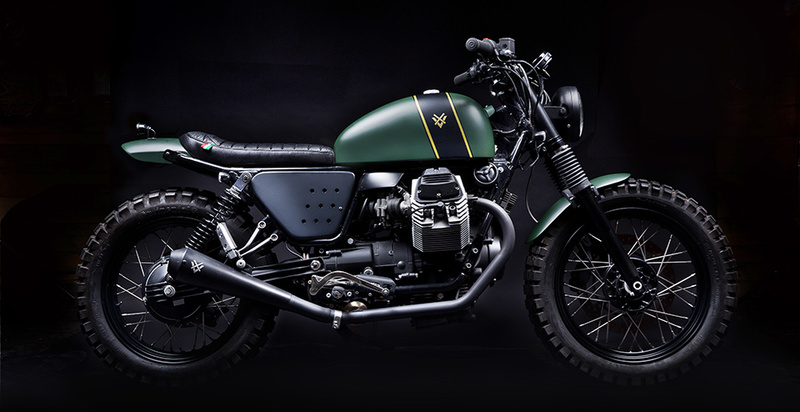 Stefano Venier was in charge of the build from Venier Customs, making the bike as part of a series kickstarted by his ‘Tractor v75’. The first thing done was to get ride of the stock tank and replace it with a Venier Customs aluminium scrambler unit. Stefano acquired the help of local builder Lou Neziri, who built custom-made fenders and aluminium side panels. The seat has been designed for two people with no changes being made to the subframe, the concept for the bike was to make it comfortable for two people. Subsequently the body has been moved back by about 30mm. 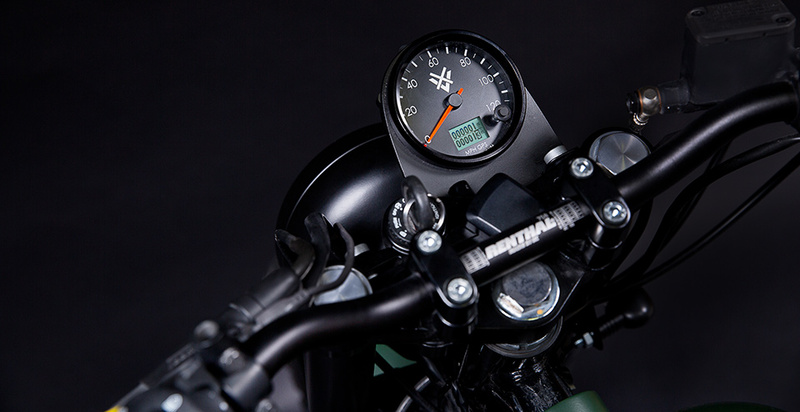 A GPS speedo has been implemented in the cockpit with the venier customs logo embellished upon its face. New Renthals handle bars have been a welcomed addition to the bike, with all new lights and turn signals to complete the front. Ikon supplied a new set of shocks for the bike, perfect as ikon specialise in suspension. New cylinder head covers have been implemented with a vintage style to help the scrambler appeal show. 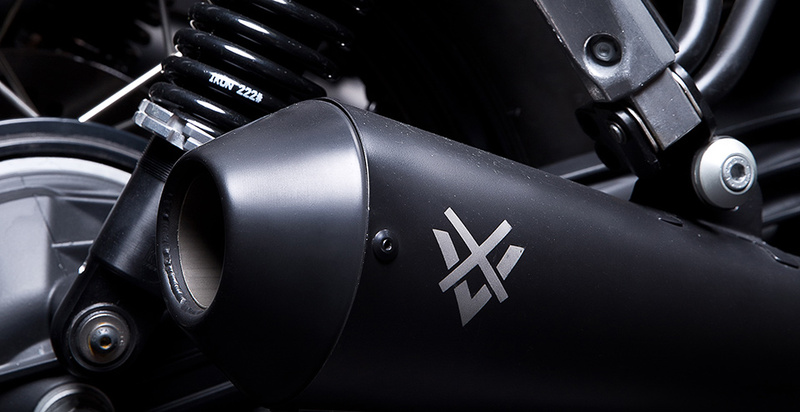 Mufflers from Mass Moto were produced specifically for the ‘Tractor’ series and suit the ‘Tractor 03’ nicely. The wheels were stripped and powder coated before being reassembled but mostly left alone. 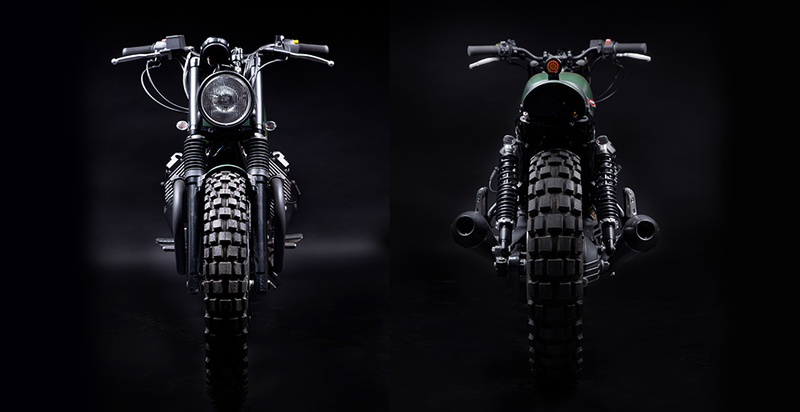 TKC80 tyres from Continental have been used to finish up the scrambler theme of the bike. 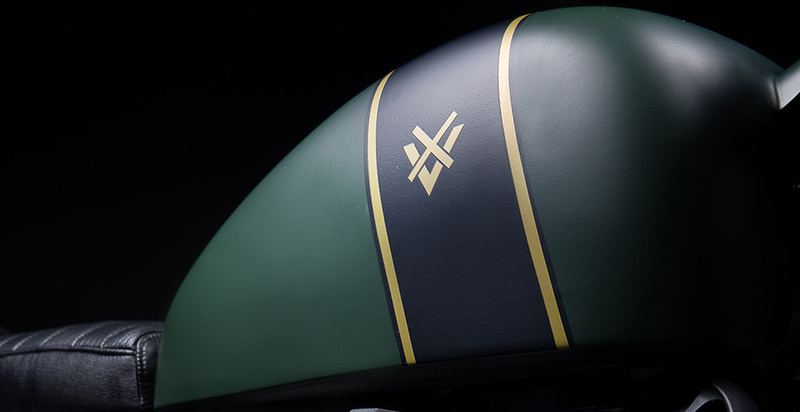 The paint scheme to finish off is a dark matte green with a black strip cutting down the middle of the bike. A further two gold stripes and logo finish of the paint job. A final white Venier logo can be found on the contrasting black of the exhaust pipe. The ‘Tractor’ series is really shaping up to be a great series. We can already expect another few builds to come for Venier Customs in the not so distant future. We at King Of Fuel hope that Stefano can keep up the high quality production of all his bikes.